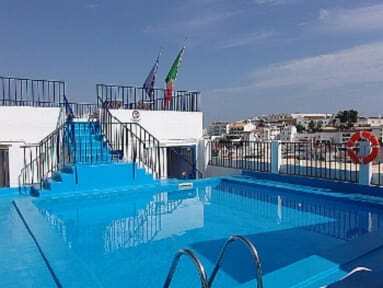 To confirm and guarantee your booking is necessary a deposit of the amount of the first night from October to May and 50% of the reservation from June to September. The rest will be paid directly at check-in. PLEASE BE AWARE WE ONLY ACCEPT CANCELLATION BY EMAIL OR FAX. THE CANCELATION IS NOT REFUNDABLE. The reception has a scedule in the winter/medium season (from October until May) 12h - 20h. In the high season (from June to September) the reception is open between the 8h - 24h. Very good value for money. Central located, 5 minutes away from the beach with lots of shops and restaurants nearby. The en-suite room with tv and cooking facilities was perfect to feel like home with my family. I came back! This time I don't have a Portuguese friend to translate :) Loved it! 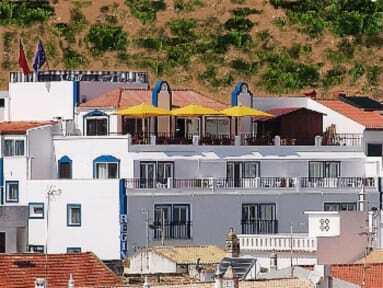 Fair weather allowed me to spend a wonderful time in Albufeira. During the day at the beach and by night partying in the clubs :) Apartamentos Regina welcomed me in a warm friendly environment with everything ready to make my stay comfortable. Cristiana from the reception was just great (and easy on the eyes, I must say!!!). I'll soon be back! Good for the price. Booked this place for a lads holiday. Pretty basic but you can't complain for the price you pay. Location is great and the pool is a nice touch too. Very basic and in need of bringing into the 21st century. Best thing was the rooftop pool area.